Delayed Sleep Phase Syndrome is a chronic sleep condition that is similar to jet lag. It is sometimes referred to as DSPS or called phase lag syndrome and is one type of circadian rhythm disorder. The condition is a sleep disorder and is one of the more commonly found complications of a person's sleep to wake pattern. In people who have DSPS, their internal biological clock is not synchronized with the environment around them. For most of these patients, the body is unable to fall asleep at normal times and they stay awake longer than most. Individuals often have a difficult time falling asleep prior to 2 a.m. to 3 a.m. They have extreme difficulty getting up earlier than 7 a.m. as well. Going to bed early does not help them fall asleep earlier since their internal clock lacks synchronization. Individuals facing DSPS need a full seven to eight hours of sleep per night. Since most rarely get this amount of sleep, they often suffer from a number of complications including poor attendance at work or school, lower grades, and the inability to hold down daytime work. Additionally, the lack of sleep can lead to health problems. Many people suffering from DSPS believe they are suffering from insomnia, but this is not the case. Their body is able to sleep, but they often don't due to external factors. Insomnia patients are unable to sleep at any time of the day or night for long periods. Doctor's do not know what causes some people to be "night owls" as they are often referred to. They believe that Circadian rhythms are out of line in people who suffer from DSPS. Circadian rhythms control the internal biological clock and regulate the sleep wake pattern of each person. Sufferers of DSPS can get help. In some cases, adjusting work and school to be later in the morning or afternoon can be beneficial. While lifestyle changes can help cope with the problem, there are also treatment options available. Sleep Therapy: This therapy helps to reeducate and teach proper sleep patterns. The goal is to resynchronize the sleep patterns. In some cases, medications such as benzodiazepines are used to help adjust sleep patterns. Bright Light Therapy: A light box is prescribed by doctors. The box is used to simulate the early morning bright light which normally helps to stimulate early awakening. 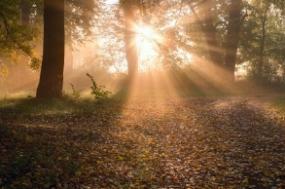 The patient is usually exposed to the bright light right after waking up for 30 to 60 minutes. Chronotherapy: Chronotherapy has been used since 1981. The process simply moves the sleep wake cycle by adjusting the sleep patterns by three hours per night until the desired time is reached. It is done to change the Circadian rhythm. For example, the first night, the patient sleeps from 4 a.m. until 12 p.m. The next night, the patient sleeps from 7 a.m. until 3 p.m. This continues until the designed times are reached. 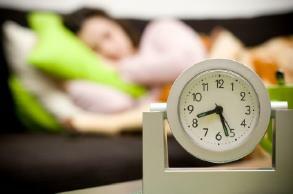 Lifestyle Changes: Another form of treatment for Delayed Sleep Phase Syndrome includes improving lifestyle. This includes reducing stress, avoiding any stimulating foods or drinks such as caffeine or alcohol as well as getting enough exercise in the early part of the day.